The second in The Best Scandal Ever series. More adventures of eccentrics Sam Redwood and Kira Cedar as they blunder their way through life. Kira has won an art competition, she has no idea she has entered, which opens up a new world for Sam, if only he could see it. After the media event to promote Kira's triumph, new avenues are opened, and Sam is only too ready to travel down them. 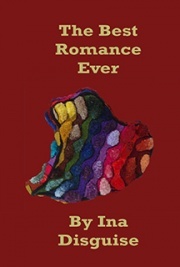 Sam discovers, in the course of enjoying the Best Romance Ever, that even the most glittering romance is not all it's cracked up to be.